The kids had a Homeschool Science Fair this week and it took forever to figure out what they should do! Finally, we settled on doing one single project instead of three, which was a good choice, I might add! All three of them were able to partake in the experiment and even shared a little about what they learned in front of other homeschoolers. Even my youngest wasn't afraid to share in front of everyone! 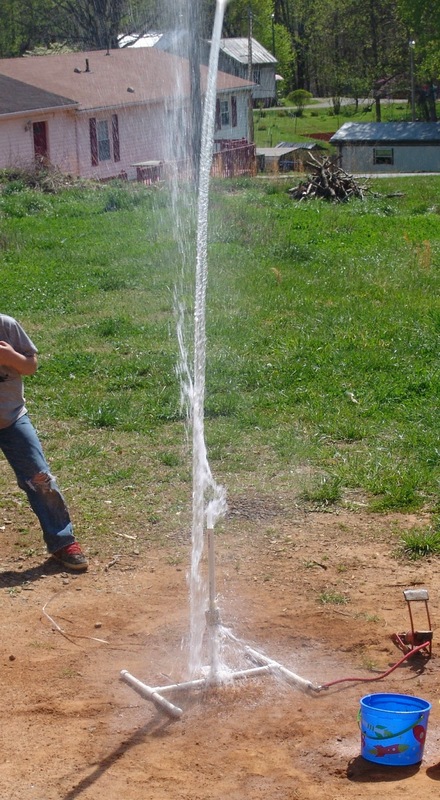 Their experiment was seeing if the amount of water in a water rocket would change the height of the rocket launch. Hypothosis: The least amount of water will launch the rocket the highest. We launched the rocket nine times. First we started out with eight cups and then decreased each launch by a cup of water until we launched it will no water at all! 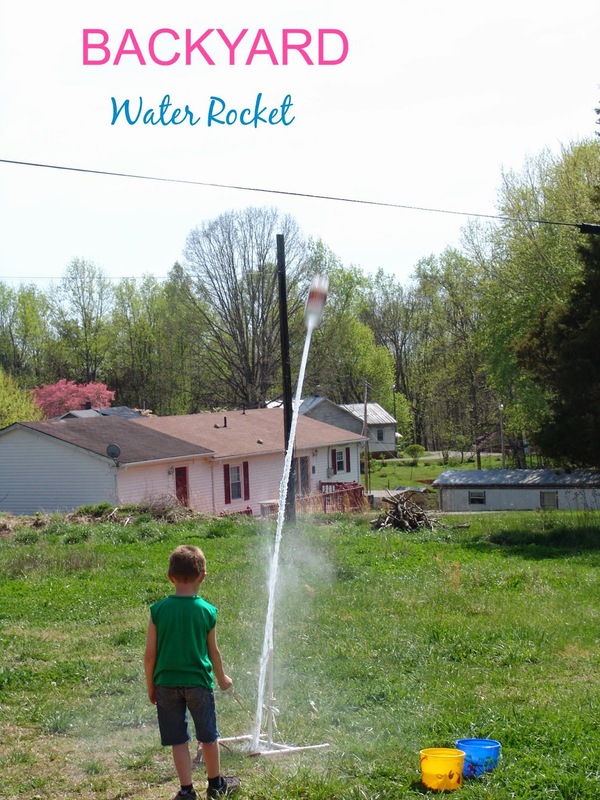 The rocket did in fact work with just air and no water but the highest height was indeed only one cup of water! Fill a 2-liter bottle with water. Using a bike pump, fill bottle with 100 lbs of pressure. Pull cord to release bottle.